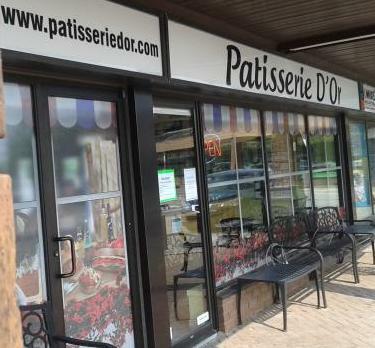 We know our customers deserve only the best, and we are pleased to be able to offer the exceptional quality that you have come to expect from Patisserie D’Or. To assure you receive the finest products, we must consistently use only the finest of ingredients. From savory specialties to delectable desserts, every item in our cabinets is hand made with attention to details, both in what we put into our products and what you get out of them. Our first responsibility is to the health of our customers. 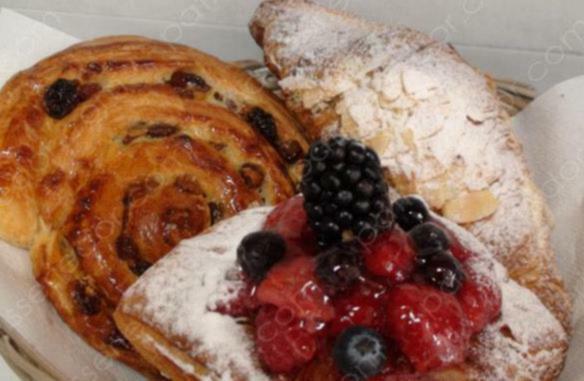 We are sensitive to the wishes of those who are concerned with their intake of fat. For this reason we do not use any shortening, emulsifiers, vegetable oils or trans-fats which do not get digested by your body. 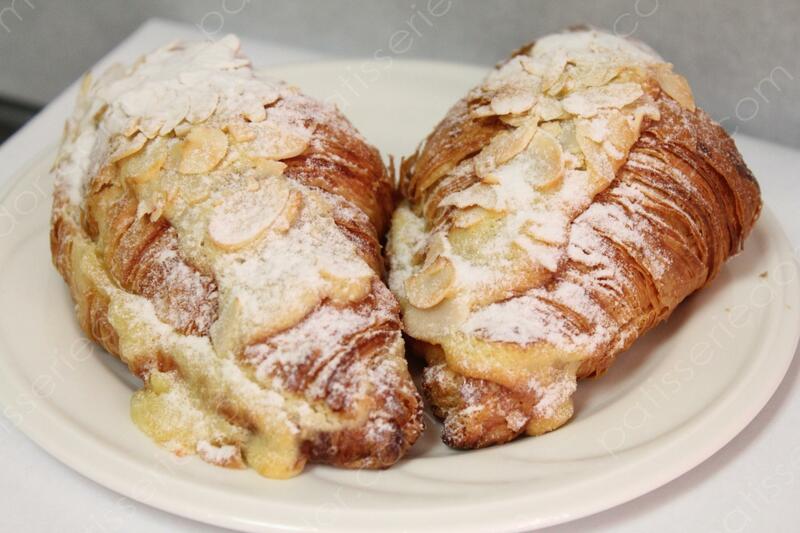 Instead we use only sweet natural butter, giving our croissants the wonderful flaky consistency that melts in your mouth. 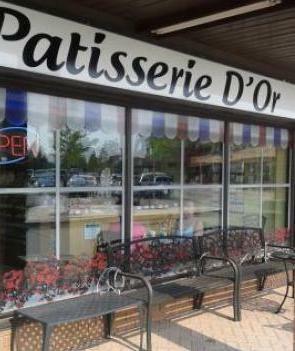 Your taste buds and your waistline will both thank you for choosing Patisserie D’Or. One of the world’s most alluring aromas is the scent of fresh warm bread, and you are free to indulge in this simple delight when you are confident that the bread is fat-free. Some bakeries will add shortening to their breads to extend their shelf lives, but that is a compromise of quality we are unwilling to make. We invite you to let your tongue enjoy what your nose has been tempting you with. Chocolate is one of those unique ingredients with the power to charm nearly anyone with its rich, subtle flavours that speak of leisure and decadence. We are proud to be able to say we use only pure chocolate couverture, not less expensive coating chocolate. Couverture has cocoa butter in it, a natural product of the cocoa bean, whereas coating chocolate is made with shortening. Taste the difference truly fine chocolate makes to any pastry. Typical “baked” foods from other bakeries are often full of preservatives, food colourings, shortening, oils and other scary things. 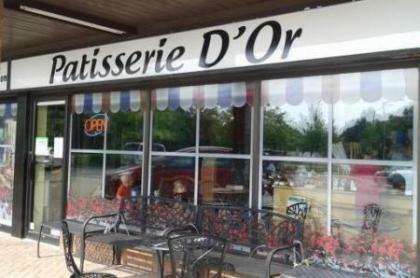 At Patisserie D’Or you will discover a world apart from these modern shortcuts. We are a bakery with a heart. We care about the food we make, because it is the food you eat, and we strive to be certain that every bite will exceed your expectations in quality and flavour. This is our promise to you.